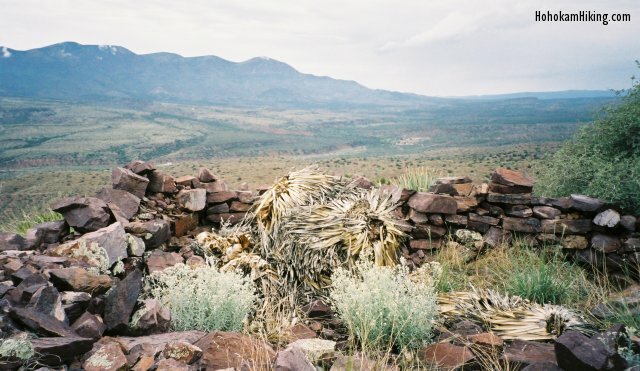 The Black Mountain Indian Ruins are a great destination for anyone who wants to go on a short hike to some fairly unknown ruins. 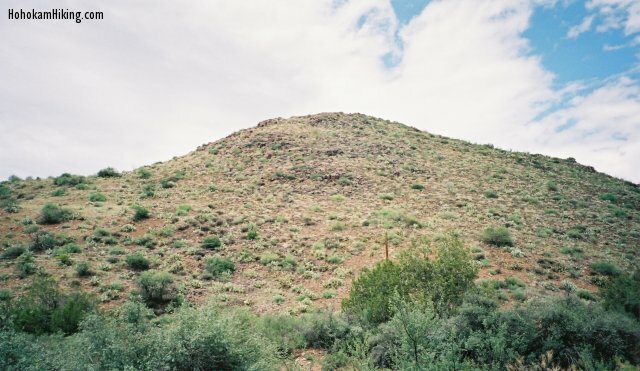 Directions: Black Mountain is located on the north side of the road that leads to Gisela, AZ. From Phoenix, take Route 87 north towards Payson. About 15 miles before Payson is the town of Rye. About 2 miles before Rye is the turnoff to Gisela, called Gisela Road. Turn east onto Gisela road and up the road about a mile you'll see a large dark mountain/hill on the north side of the road. This is Black Mountain. Directly on top of the mountain you'll find the Indian ruins. There is no trail, so just park on the side of the road and find your way up. The hike is only about a half mile and should only take about a half hour (each way). We decided to go to these ruins on our way home from a campout near Payson. We were tired and ready to go home, but we figured we might as well make the quick trip to the top. I have seen better ruins, but the short trip makes these ones worth it. It always amazes me to think that ruins such as these have been standing for over 500 years. From the ruins you'll get a great view of the valley below.